We very much want the building to be used by the community and we are investigating the demand for a craft and chat group to meet there, an exercise and balance class for older people and a group for children and music. If you have ideas for the use of this historic and very pleasant building (we have chairs which are easily moved) do please contact Mrs Joan Lobb 01568 708223 or Rev’d Deanne Evans on 01568 613339. What adventures we have been experiencing! First of all let us begin with a little history. The land for the church or chapel was donated in December 1856 and the building completed in the following year. Along with the deeds are listed the Trustees who took responsibility for the building through the years until the Methodist Church Act of 1976. In 1957 there was a big Centenary Celebration with Russell Shearer as guest speaker. Tea followed in the village hall. The church was closed for a few years and worship held in the bungalow next door but it was re-opened in 1982. There was a very successful Kingsland Village Flower Festival held there in 1991 where all the village organizations contributed floral arrangements. As far as we knew the building had remained unchanged apart from the addition of the porch until this day. Along with the deeds are kept the lists of Trustees who took responsibility for the building down through the years. In a recent quinquinnial inspection the surveyor pointed out that at some stage the chapel had been extended towards the car park by about 2-3 metres. We had never noticed! This extension proved to be the beginning of our recent adventure. We knew the end wall was damp and we had engaged a builder to remove the render which was cracked and replace it. When the render was removed it was discovered that the wall was unstable. We engaged a structural engineer who reported that the wall was without foundation, built on soft clay mud and that the movement in the wall, which was single brick in places, had resulted in pulling the other walls inwards and snapping all but two of the ceiling hangers. After an urgent meeting of the Circuit Stewards it was decided to proceed with all due haste to stabilise the building by removing and rebuilding the wall having first dug new foundations and installed adequate drainage. Much other work was undertaken to “jack up” the ceiling and secure double the number of ceiling hangers, replacing some of the purlins as well. We now have a stable, dry church, newly decorated with a loo suitable for wheelchair use (we had already installed a concrete ramp) and a new kitchen! 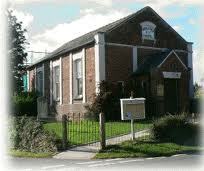 On 23rd November 2009, we held a Public Meeting and Consultation in the Coronation Hall to gather the views of the village about the future use of the building. The minutes of this meeting are available on request.